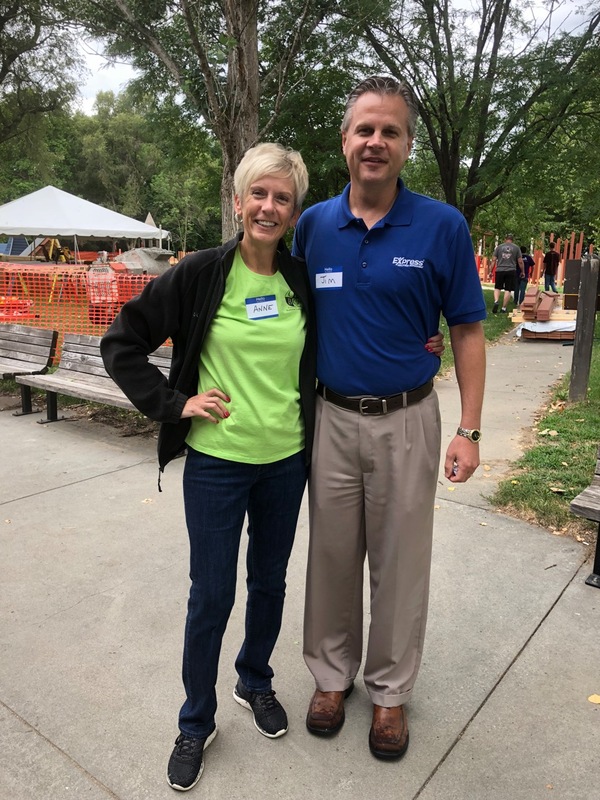 Current Council Bluffs Business Connections (CBBC) President Anne Morgan, of Risney Photo and Design, and former CBBC President Jim Myers, of Express Employment Professionals, took time out of their busy schedules to help continuing efforts of Council Bluffs' Dream Playground Re-Imagined Project on July 26th, 2018. CBBC prides itself on it's community outreach and want to thank Jim and Anne for their hard work on the project. We look forward to hearing stories about their time volunteering next Monday at our weekly meeting at 7:30am-9:00am at the Council Bluffs Chamber of Commerce. This effort is a great way to improve our community, while also being a lot of fun for all volunteers involved. The project is still in need of volunteers feel free to sign up on their website at https://dreamplaygroundcb.org/volunteer/ and check out their Facebook page to stay updated on progress at https://www.facebook.com/DreamPlaygroundReImagined. If you are interested in expanding your business and improving the Council Bluffs community. Look no further than Council Bluffs Business Connection. Feel free to contact us or stop by at our weekly meeting to see how we can help you take your business to the next level.